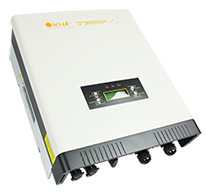 The Omnik 1.0-2.0kw-TL series of inverters incorporate the worlds latest technology; they can achieve a maximum conversion efficiency of up to 97.8% & a MPPT adaptation efficiency of up to 99.9%. The Omnik 1.0-2.0kw-TL range are perfectly suited to enhance yield levels of any smaller domestic system due to their low MPPT voltage range starting at just 80volts. Omnik 3.0- 5.0k-TL Multi-string inverters are specially designed for domestic PV systems, Equipped with 2 MPPT trackers, Wide DC input range (120-590 Vdc) and are compatible with different module technologies. 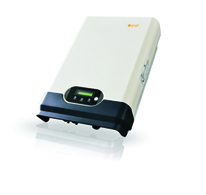 Omnik 3.0-5.0k-TL grid connected inverters feature a sleek appearance, durable design and high efficiency. 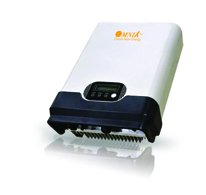 The second generation series of the Omnik PV Inverter are smaller and more compact than the first generation. They have longer lifetime and higher efficiency.